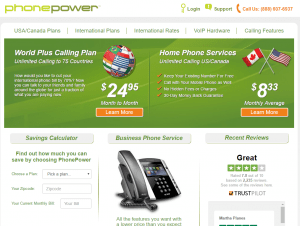 Even though California-based PhonePower provides business related plans, its clientele mostly consists of residential users who want to place and receive an infinite amount of domestic and international calls for reduced prices. And this company knows exactly that and even more. As a PhonePower customer you get all the necessary features one would expect from a virtual phone system provider, complete with easy call management and a simple account interface. Furthermore, any chosen local pricing plan includes an extra secondary line, the option to use the built-in softphone or a third-party solution, a mobile website/app and international calls – all of this without having to pay a single dime. You can also chose international pricing plans with which you can say goodbye to high phone bills and call international numbers as many times as you want. With PhonePower your phone system will be virtually limitless, whether you place your calls from a local, a toll-free or a Canadian number from your home, a non-PhonePower device or from your smartphone. 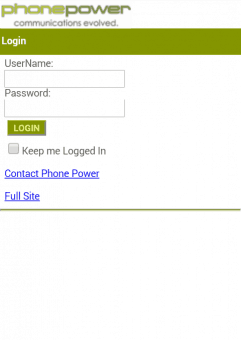 Despite being “only” a residential service provider, PhonePower has many features not present with the competition. As always, there are the regular features like free calls to other PhonePower users, call forwarding and routing, accompanied by the simultaneous ring option, the 3-digit quick call return function and a do not disturb feature that automatically forwards all calls to your voicemail. The company goes to great lengths to protect your identity and to prevent you from taking unwanted calls: you can determine who can see your caller ID, while all of your callers cannot hide their numbers from you even when you have to put them on hold during an ongoing conversation. However, you have the option to completely block unwanted numbers, anonymous or international calls and operators (or forward them to voicemail). You can use the built-in softphone to manage your calls from your computer, but thanks to the free of charge second phone line two people in the same household can place or receive calls at the same time from desk phones (even talking to two parties at the same time with 3-way conference calling). 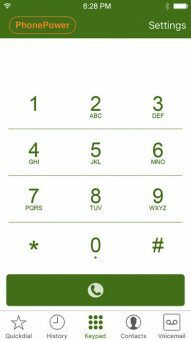 If you like these kinds of conversations, you can put certain numbers on speed dial, but you can use the regular dialing method as well – whether you use 7, 10 or 11 digits. Speaking of digits, PhonePower provides you the quick dial of your community or city services, traffic info and utility companies. You don’t need to download anything to manage your account and view your bills and payments, recent call logs, configure voicemails and more, as PhonePower is entirely cloud-based. The account is the place where most of the features detailed in Call Handling can be configured along with other settings like the softphone, your call logs, the contact list and your voicemails. Speaking of those, in the account you can simply view and listen to them, and you can automatically attach the messages to an email that is sent to a predetermined address. Furthermore, you can also set up a separate email that alerts you when you were away from your phone and missed a call, and a phone number to which all your calls will be forwarded to should the service be temporarily unavailable (FailSafe). PhonePower is also capable of two-way faxing: the incoming faxes are sent to voicemail where you can download or print them, but if you want to send a fax, you need to own a fax machine. 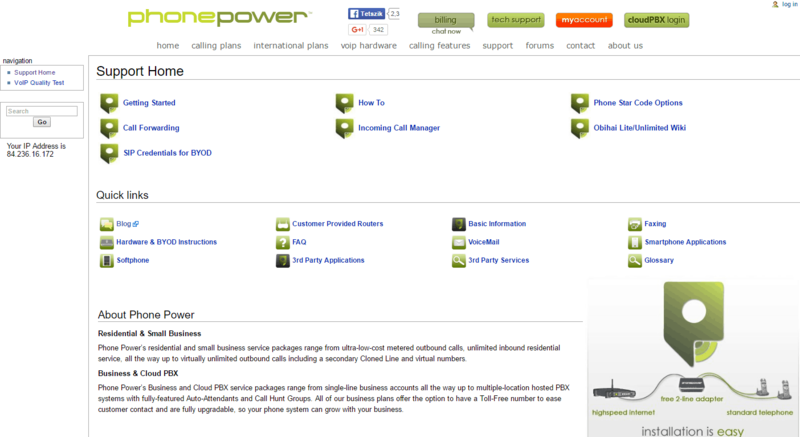 PhonePower has two special features with which you can make phone calling even more hassle-free. The first special feature is bandwidth saving which allows users having constant bandwidth issues to lower the bandwidth usage by two-thirds. 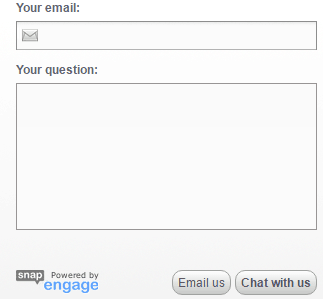 The other feature is called Click2Call: this allows you to place calls from your account using your desk phone. 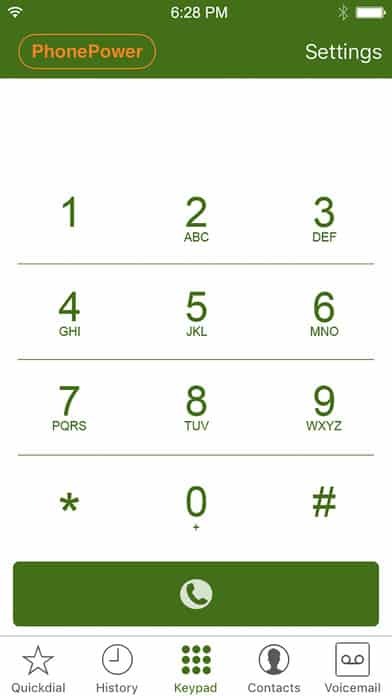 It works as follows: you click on the number in your account, then PhonePower rings your desk phone (directs the call thereto), which after being picked up, connects you to the receiver. This feature also works if you are away from your home: even though it costs extra, you can still place calls from a non-PhonePower device like you would do if you were calling from home. 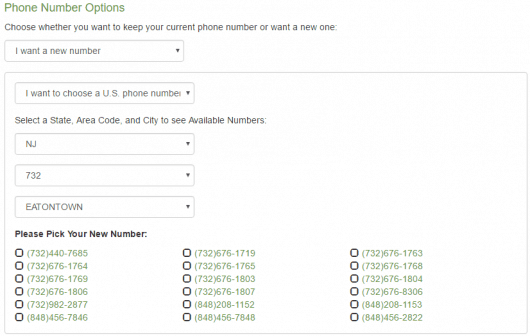 With PhonePower, the number one option for getting a phone number is by choosing a local number or by keeping your old one. 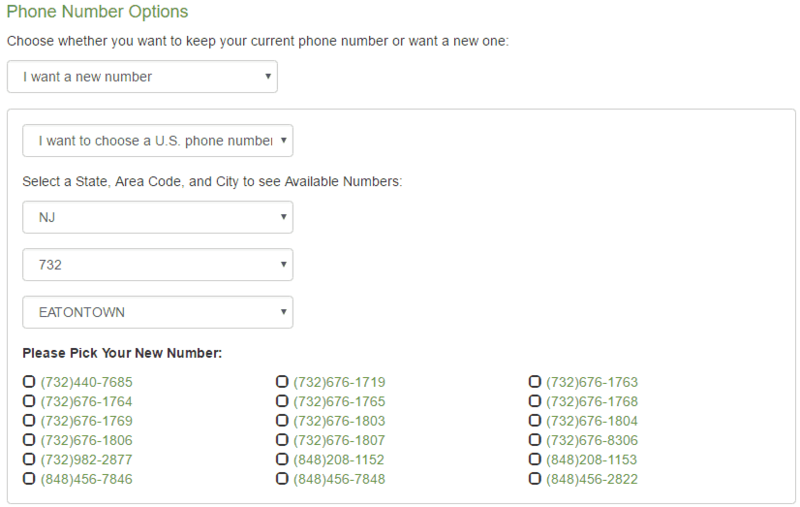 In the former case you can decide whether you want a true local number or you want a number somewhere else within the States or in Canada. Choosing a new number is quick and easy, but porting your existing one is even better, as PhonePower does not charge you for that in any way. Its only restriction is that you must have a live contract with another company and your phone bills must be fully paid. You also have the option to get a toll-free number, but that costs an extra: it is $5 per month plus $0.04 per every minute. The price is the same for the so-called virtual numbers, but in that case you don’t have to pay by the minute, only the monthly fee. Quite uniquely, PhonePower offers all three options for accessing your account: you have a mobile-friendly access screen, an Android app and, of course, an iPhone app. 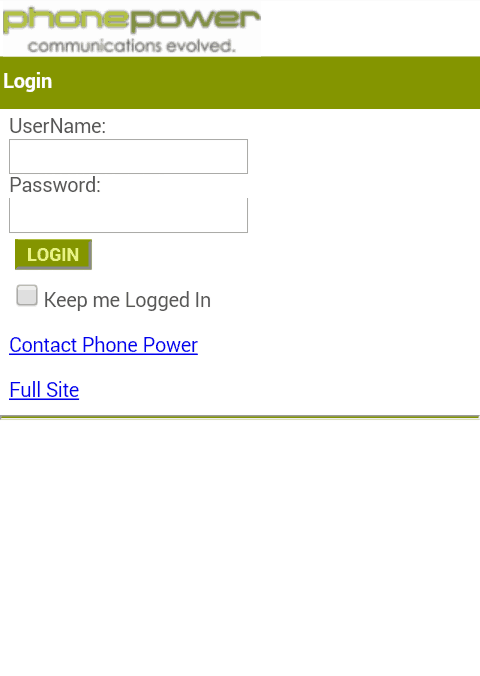 However, as the mobile-friendly site is the same as the desktop version, we’ll focus on the apps. The apps are completely identical and they have the same strengths and weaknesses: for instance, they don’t support 4G or LTE, only 3G and Wi-Fi. 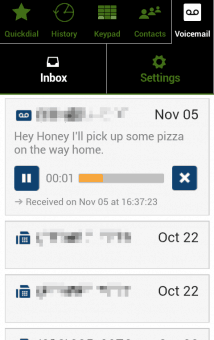 Aside from that hiccup, the apps perfectly substitute the most important PhonePower functions, like call forwarding, listening to and managing your voicemails (a feature previously available in the Voicemail Manager app only) and checking your contact list. 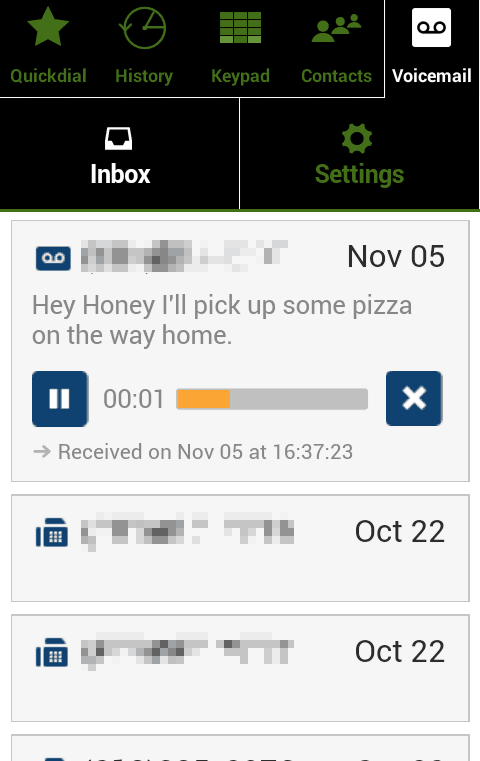 However, unlike the desktop client, you can actually record your calls with the app and forward all records to a predetermined email address. Furthermore, you can choose from over 25 different ringtones, so you can easily tell apart your PhonePower calls from your regular ones. 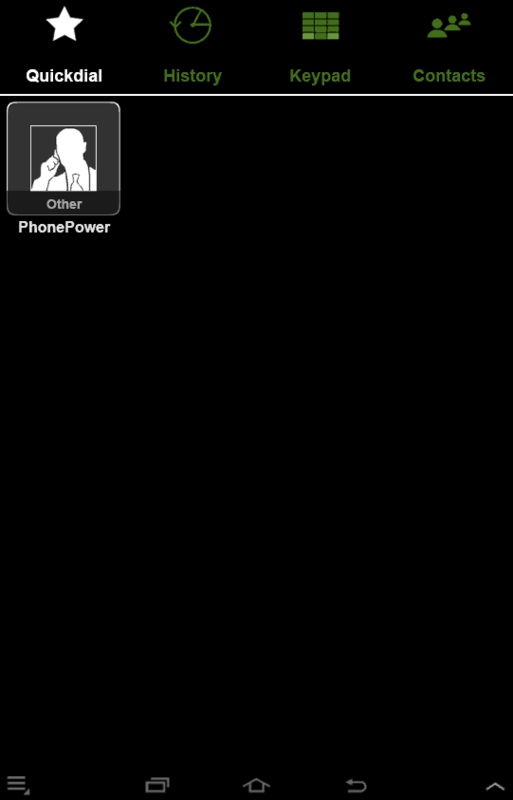 Although PhonePower has a built-in softphone, the company allows other, third-party software to be integrated to your system too. The only restriction is that you need to enable your SIP credentials in your account after which you can integrate with the following software/applications: Bria/Xlite by CounterPath, Zoiper and CSipSimple/SIPdroid. Whether you choose X-Lite or the more advanced Bria (which is available as an iPhone/Android app too), you will get a perfect replacement or complementary of a desk phone capable of voice and video calls, contact management, messaging and so on almost all platforms. This multi-platform softphone, which barely uses your device’s memory and CPU, is special, because it encrypts all your communication through the software, enabling secure calling and messaging. Intended for fans of open source software, both these Android-only apps are free as they are released under the GNU General Public License. Regardless of the chosen plan, you get all features, the optional extra services and a 30-day money back guarantee. However, there are some fees to keep an eye on: a $14.95 installation fee, monthly federal/state/local services fee, 911 cost recovery and regulatory recovery fees ($0.99 and $1.98 per month respectively), overage minute charges ($0.02 per minute exceeding 4,000 minutes), number change fee ($15), and early cancellation fee ($99). The USA/Canada unlimited domestic plans include a free second line, 60 minutes of free international calling and 5,000 (“unlimited”) free domestic minutes for $8.33 per month (1-year prepaid contract), $9.95 per month (1-year regular contract) or $19.95 per month (without contract). International plans contain “unlimited” international calls and they only exist as monthly subscriptions: Unlimited World is $19.95 per month for 28 countries, Unlimited World Plus is $24.95 per month for 75 countries, while Unlimited World Premium is $49.95 per month for all 87 countries. As for Cloud PBX “business plans”, which are only good for buying more extensions, the only rule is that the longer you subscribe (1–3 years) and the more extensions you buy (from $17.95 to $22.95 per month), the more you save. PhonePower’s customer support is average, but at least it is complete. If you prefer the regular contact methods, you can send the company an email, fax or snail mail, give them a call on every day (during business hours) or start a chat; however, the latter option is only available for those who have sales related questions. PhonePower is pretty active on Twitter as well, because that social media page is used to warn clients should there be technical issues with the service. 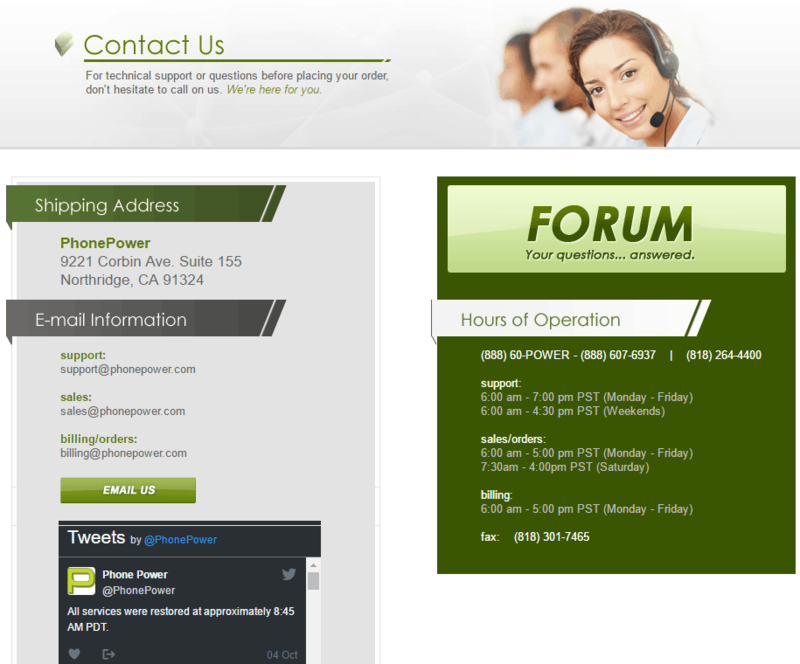 There is also a forum where you can ask the staff, and PhonePower provides video tutorials on its YouTube page. 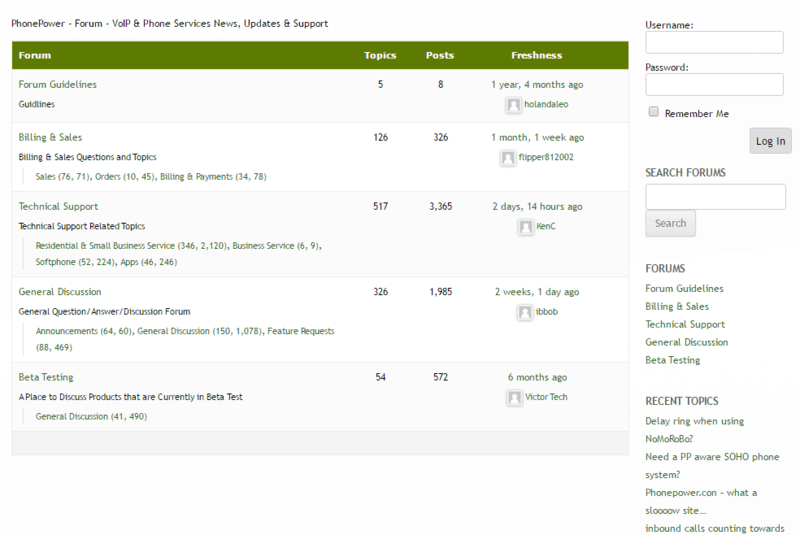 The most important page, however, is the PhonePower wiki or if you prefer, knowledge base. This is a true Canaan of information where everything related to the company’s services can be found – from the basics and a glossary to the FAQ, info about the smartphone apps, the third-party solutions, how to set up your routers/deskphones, the faxing options and the company’s blog (which sadly has been dead since 2014). As a business virtual phone system, PhonePower is far from ideal due to lacking business features like queuing, call transferring, and answering rules. But as a residential service provider, the service is one of the most feature-rich ones on the market with a few hiccups. The pricing policy could be better if it didn’t contain hidden elements and would be honest with the clients (calls are not truly unlimited), but aside from that you won’t find any other major problems. In fact, a free second line and international minutes, the unique Click2Call option, the failsafe feature, the integration of third-party softphones, the bandwidth saver and fully functional apps/mobile website are all features not found in the competition. Therefore, as a business virtual phone system PhonePower is not the best, but as a residential one it is worth checking out should you move your phone lines to the cloud.